Hearing loss is incredibly common, with statistics suggesting that a majority of people will experience the issue at some point in their lives. However, the causes of hearing loss are far less known - but also present an opportunity for hope. After all, if you know the reason for hearing loss, it naturally follows that there may be things you can do to protect your own hearing. To investigate this further, below, we have put together a list of the known causes of hearing loss - as well as a few tips on how you can protect your own hearing for the future. 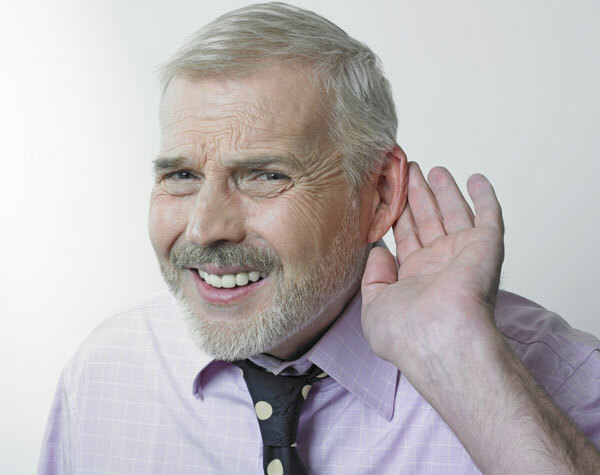 In the majority of cases, age is the single largest contributing factor to hearing loss. Over time, the nerves in the ear can effectively be overused, to the point they become less and less sensitive to external noise. This results in gradual hearing loss, which is often progressive. Unfortunately, there is no known way to prevent this kind of hearing loss - it's a simple side effect of the natural aging process. The best advice is to be proactive if you suspect that you are beginning to experience age-related hearing loss; speak to an audiologist as soon as possible, as they may be able to make recommendations that can at least help to slow the progression of the condition. People who spend their working lives around loud noise are more likely to develop hearing loss. Many jobs involve frequent noise exposure; construction workers, musicians, event staff, and road crews, for example. If you work in a job that involves exposure to loud noise on a frequent basis it’s important to wear proper protection. Always try to ensure you use specialized ear defenders during working hours - earplugs alone will not be sufficient. It is also advisable to limit your exposure to loud noises outside of your workplace, so your ears have the opportunity to recover. If left untreated, earwax that has built in the ear canal can easily cause hearing loss. Fortunately, this situation is relatively simply remedied; the earwax can be removed and hearing should soon return to normal. If you suspect you have a build-up of earwax, then it’s important to discuss the matter with your doctor or audiologist rather than attempting to remove it yourself - the ear canal is longer than you may expect and very easily damaged, so the removal of deep earwax should only be attempted by a professional. On occasion, hearing loss can be caused be caused by an illness, a tumor in the ear canal, or even damage to the internal ear. Your audiologist will usually be able to rule out these potential causes during a hearing test. It is important to remember that hearing loss can be treated with the use of hearing aids - so speak to your audiologist if you suspect your hearing is not quite what it once was.